Toop&Toop Blog: Real Estate’s Night of Nights... Wow, a very humbling moment! Real Estate’s Night of Nights... Wow, a very humbling moment! 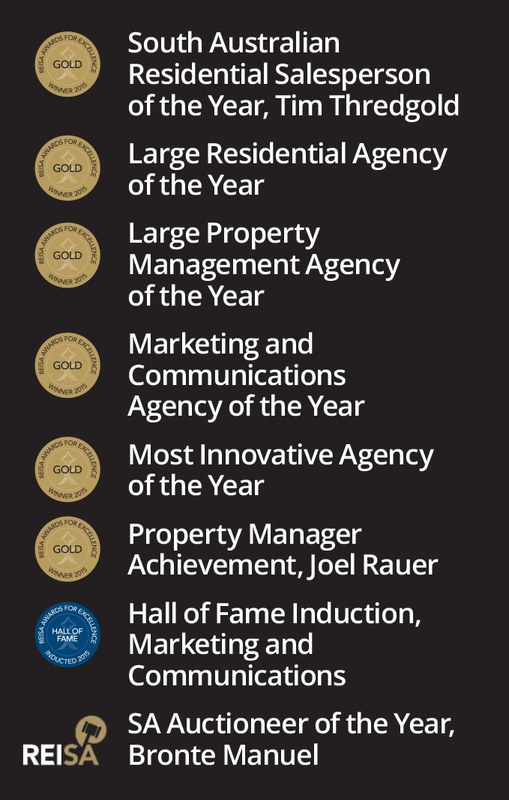 Last Saturday was a very special night for Toop&Toop at the 2015 Annual Real Estate Institute of South Australia (REISA) Awards. More than just awards... real meaning. Background. On the 1st January 2015 I changed my role from Managing Director to Chairman of Toop&Toop, a big move for our family. My daughters, Genevieve (Gen) and Suzannah (Suz) took over operations two years ago and are currently taking over planning and strategy. My wife, Sylvia and I along with some of our senior TeamToop members have been mentoring them, as have experts from outside the business. As our next generation mature into the roles, Toop&Toop has returned to its roots. A family business, with passion and high expectations of ourselves. Back to last Saturday night. 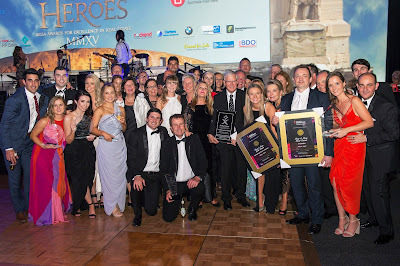 The REISA Awards recognise the best of the best in South Australia. It was so special for Sylvia and I because the results were clearly nothing to do with us, but rather the efforts of the entire TeamToop - new leaders, new thinking, new technology and new management style. Tim Thredgold, with our 28 years working together, was recognised as the state's top sales person for 2015...Such an incredible guy and ambassador of the industry. The irony is that last week Tim and the Thredgold team took residence in the recently vacated office of Peter Veitch, who last month officially retired. Peter has been the only South Australian to ever win the nation's number one sales person award, and was Hall of Famed out of the competition in 2008. Both Tim and Peter are amazingly wonderful human beings and role models of what the elite real estate profession should look like - humble, proud, and highly professional with a competitive spirit. I've spoken to Tim and naturally set an expectation for him to become the second South Australian to achieve number one in the country. We had 13 finalists with Joel Rauer, Troy Tyndall, Sally Cameron, Mandy Doolan, Len Allington and Kevin South all receiving individual awards of excellence, showing outstanding depth and breadth to our new TeamToop. The State's Best Auctioneer, Bronte Manuel was also recognised for his achievements winning 2015 Auctioneer of the Year in REISA's inaugural auction competition. In 2016 we will carry the flag for an unprecedented five major categories into the national award arena. Toop&Toop is a proud South Australian family business with a remarkable team that I believe have only just begun to realise their potential. 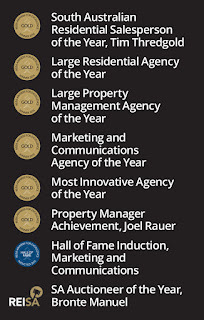 It is unquestionably an entirely new and exciting era of real estate excellence. Although things are very different around Toop&Toop now, in so many ways they are exactly the same as they were in 1985 when we started the business. With our Wellness Centre, the new Toop Crche, and our full time IT developers... we are moving to a whole new level of excellence. To dare to dream that there could be an even better way! Thank you to all those in the community who believe in us and support us through thick and thin and changing times. We are extremely appreciative of that support.